TaxHow has all the forms and eFile solutions that you will ever need for your Colorado State taxes. If you find any form that is missing for your State, let us know and we will make our best to update them immediately. If you are a Colorado resident who has tax credits to claim you will need to file Schedule CR. 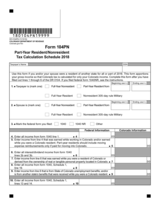 Schedule CR is the main Colorado supplemental Schedule. 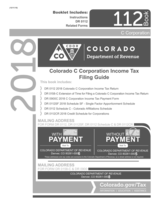 Schedule CR should be used by any Colorado resident, regardless of work location, who is required to file a Colorado state tax return. 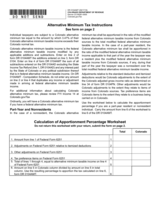 Colorado Form 104X is a tax return document for residents who need to amend their previous return. 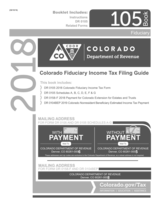 Also known as the amended individual tax return form, it is used to correct any errors in income, reimbursements or tax credits on a number of other Colorado 104 tax documents. When filling out your 104X form, you will be given the chance to explain why you are making an amendment in your tax return. 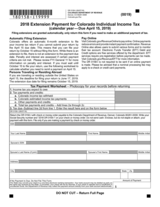 Colorado Form 105 must be used only by Estates or Trusts and must be filed no latter than April 17, 2019. Keep in mind to only use this voucher if you can't pay online or by EFT ( Electronic Funds Transfer). 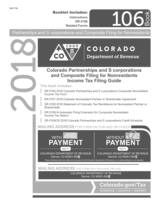 Colorado Form 106 can be filed only by nonresidents partners, shareholders or members of a pass-through entity and must be filed no latter than April 17, 2019. If for some reason you were unable to file it on time you may file it under extension. 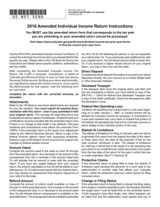 Colorado Form 158-I must be used only when you are not able to pay online or by EFT. 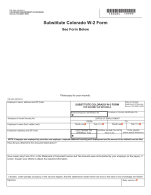 Form 158-I must be submitted together with your SSN, 2013 DR 0158-I, a check or money order. 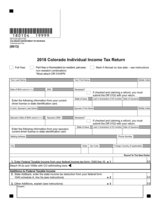 The documentation must be mailed to the Colorado Department of Revenue, Denver, Colorado 80261-0008. 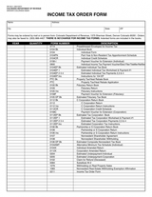 If your employer or the payer didn't provide you Form W-2, you can use Colorado Form DR 0084. 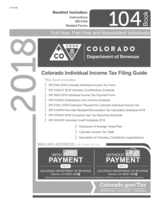 Form DR 0084 must be completed and mailed to Colorado Department of Revenue, Denver, CO 80261-0005. 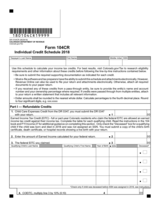 Colorado Form DR 0211 is used to order your income tax forms. 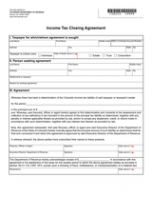 Income tax forms can be ordered by mail or in person at no cost to you by completing this form and mail it to Colorado Department of Revenue, 1375 Sherman Street, Denver Colorado 80261. Here are the mailing addresses available for Colorado. Please note that some specific forms might have a different addresses. Please check the Form's instructions before using any addresses listed here.